Give yourself the gift of quiet time and creative activity in companionship with others while making small, simple handmade books that can be used as gifts and cards. These workshops take place from 10 AM to 12:30 PM on Saturday mornings. 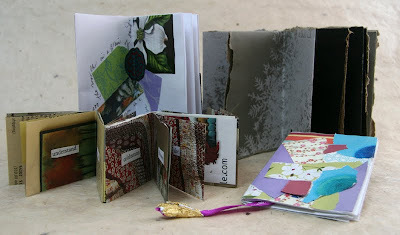 Each session focuses on a different simple book form made with recycled materials. No art experience or creative confidence is needed; this workshop is truly for everyone. The cost is $30. per workshop. Space is limited so early registration is recommended. Contact me, susan (at) susangaylord.com, to register or for more information. Celebrate autumn by making books with sticks, string and ribbon. Add elements from nature such as leaf rubbings and words and quotes about the season or use the books for themes of your choice. Usher in the holiday season by making vibrant, lively books from old cards and bright papers. And the best part—they are easier to make than they look. 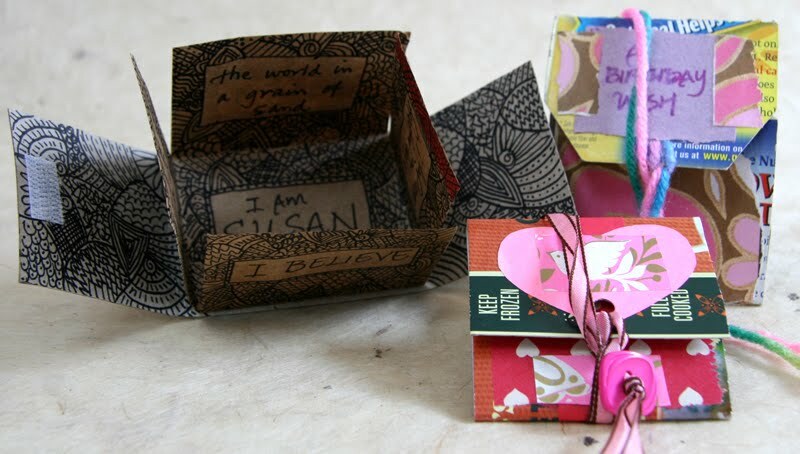 One piece of recycled paper, three folds, one cut, a little magic and voila—a book! These simple books can be used as is, have bookmarks added, or be combined to make more three-dimensional structures. Just in time for Valentine’s Day—a simple, intimate book that unfolds to a central page—a perfect place for a special message. Don’t send Valentines? No worry—there’s lots of other ways to use your book. Based on the earliest book form of China, these books can stand or hang, spell out names and words, hold poems, or create small altar spaces. 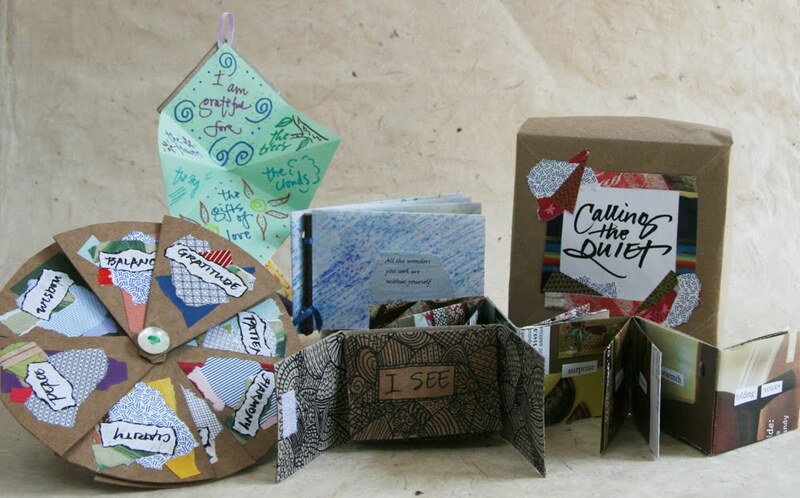 Making books combines the calm and comfort of handwork with the opportunity for reflection. Using recycled materials, we'll make five simple books on a variety of themes and a box to hold them. No art experience or creative confidence is needed; this workshop is truly for everyone. The cost is $70. Early registration (before 10.23.12) is rewarded with a reduction in cost to $58. Both workshops are drop-in self-guided activities. 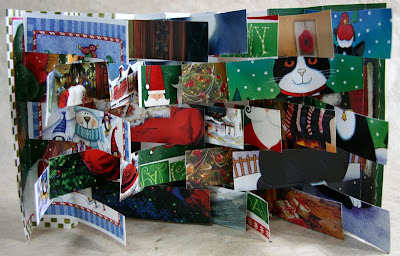 You'll have a chance to make one or more books and add content with collage materials, rubbings, and stencils. There will be a display of handmade books to inspire you to continue your bookmaking adventures at home. Feel free to contact me with any questions or to schedule a workshop for your organization.